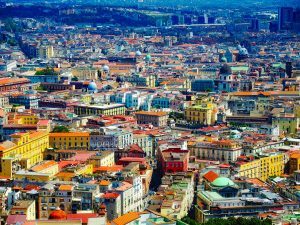 Sicily is a summer holiday jewel in the Mediterranean Sea and Sicily beaches are some of the most beautiful in all of Europe! If you are coming here and looking for the best beaches to relax on then check this list of 20 Best Beaches in Sicily. You will definitely choose one for your coming holidays! Being one of the most popular medieval towns to visit in Sicily, Cefalu also offers unique swimming experience. Its beach in the city centre transfers you to the medieval times. 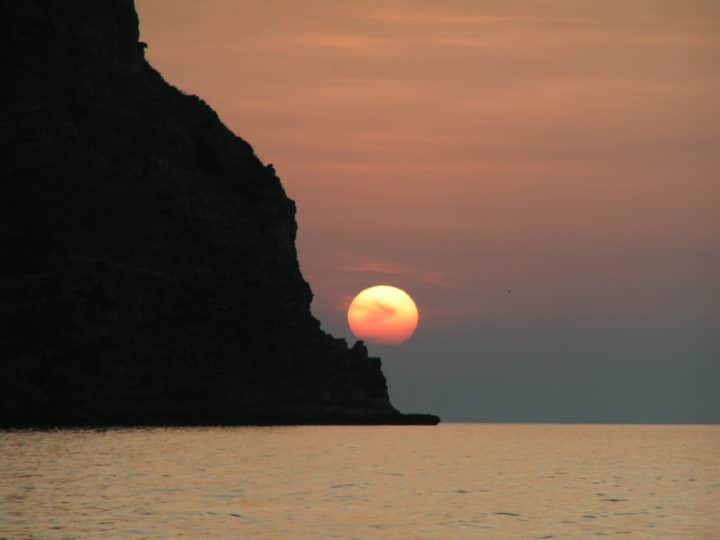 If you are a beach lover and want to try something special, then swimming in Cefalu beach is your thing to do. And once you finish with swimming and sunbathing do not forget to taste some of the most famous local Sicilian wines in any wine cellars that are spread throughtout the town. Just off the coast of Sicily, you can find some of the famous islands in the Mediterranean Sea, Aeolian islands. They are of volcanic origin which is why you can find here numerous beaches of black volcanic sand. 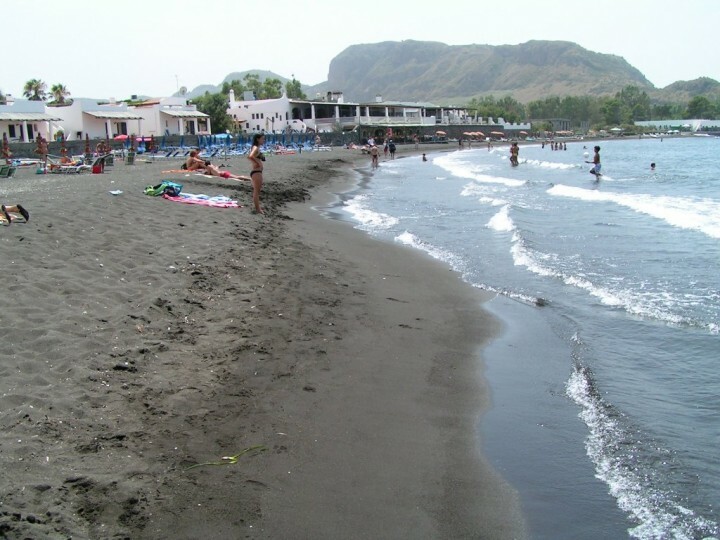 Sabbia Nera in the island of Vulcano is one of the most popular ones. 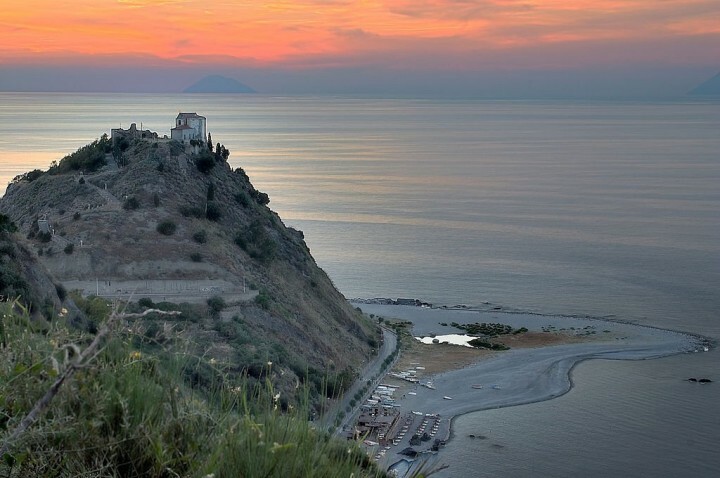 If it’s not too hot, take your time and climb up to the volcano above the beach which offers amazing views of the Aeolian Islands and whole surroundings. We will stay in Vulcano Island for one more beach. It is just a few steps from the Black sand beach and is known for hot and sparkling baths. 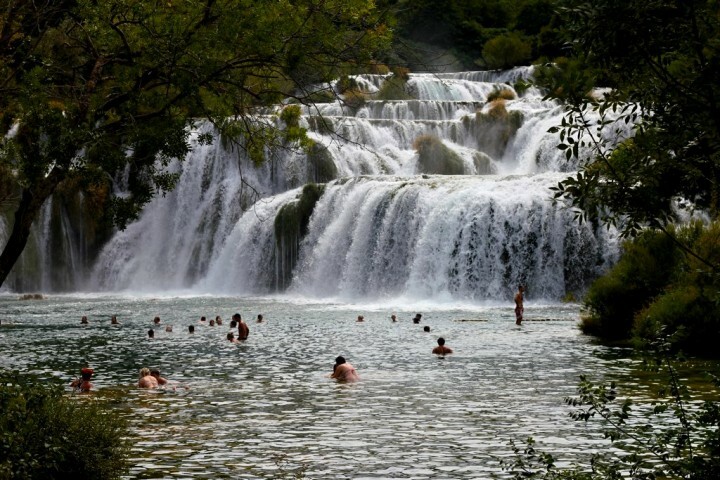 If you don’t mind swimming in a white milky water then you should definitely try this. The mud has healing effects on the skin. And once you want to clean your body from that mud, just walk out to the sea. There are also some hot springs so you only need to find free spring and enjoy warm sea water all around your body. This is definitely the most unique beach I have ever seen! 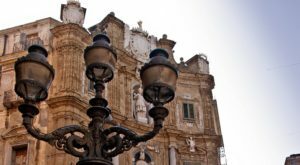 Oliveri is one of the most romantic towns in Sicily. 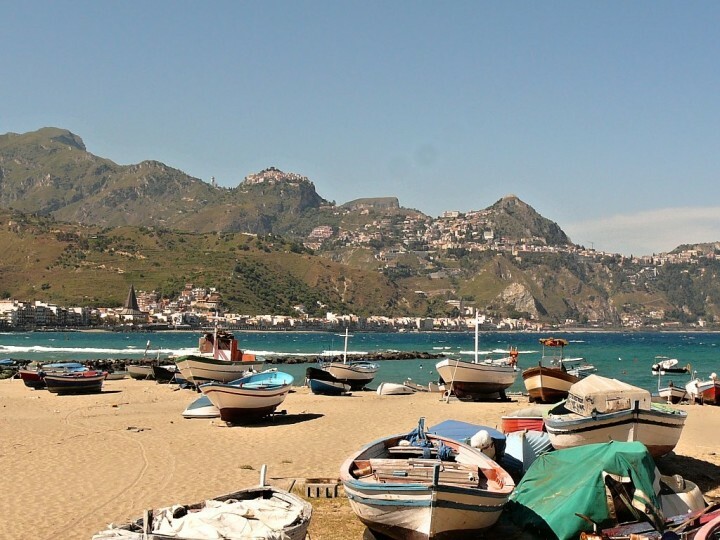 Featured with a view of Sanctuary of Tindari standing on the hill above, lagoons with a tongue of sand and the long beach it is one of the most popular holiday destinations in Sicily. Isola Bella is an islet in Taormina that is connected with the island of Sicily by a narrow strip. If you want to experience some Thailand-like swimming then this place will be ideal. The islet offers amazing sunsets and you won’t go wrong if you take a good photo camera with you. Known also as the “Pearl of the Ionian Sea”, the islet was the private property of a woman Florence Trevelyan until 1990. 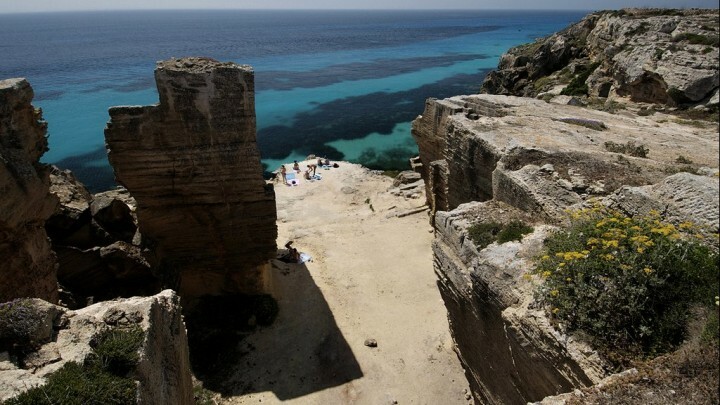 Now it belongs to the island of Sicily and was declared a nature reserve. Small rocky beach facing small rocky islands of Ciclopi is known as Riviera Dei Ciclopi. 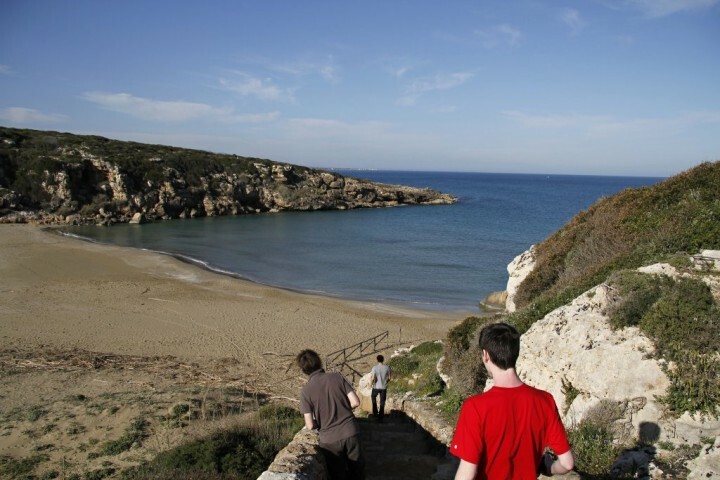 It offers great sunsets and quite a wild swimming. This riviera can be found north of Catania. 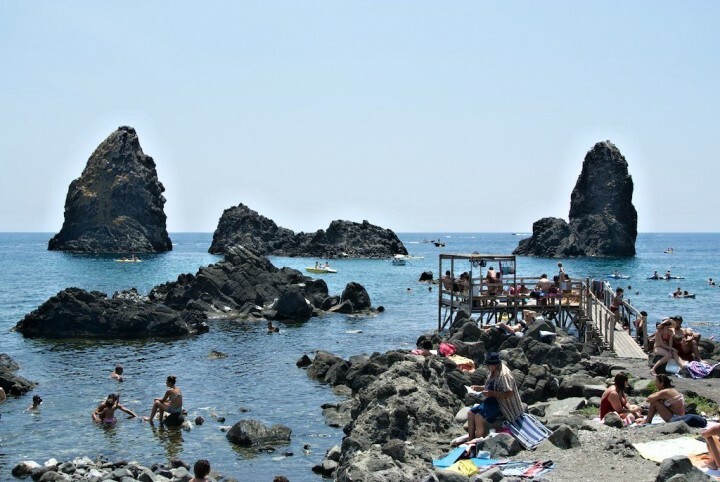 Here you will find especially stony and pebble beaches, situated just at the foot of the largest European active volcano – Etna. Fontane Bianche is a small summer holiday resort town located not far from the city of Syracuse and offers amazing swimming in the Caribbean-like location. Although palm trees are missing at the coast, crystal clear turquoise water transfer you miles away of Europe. 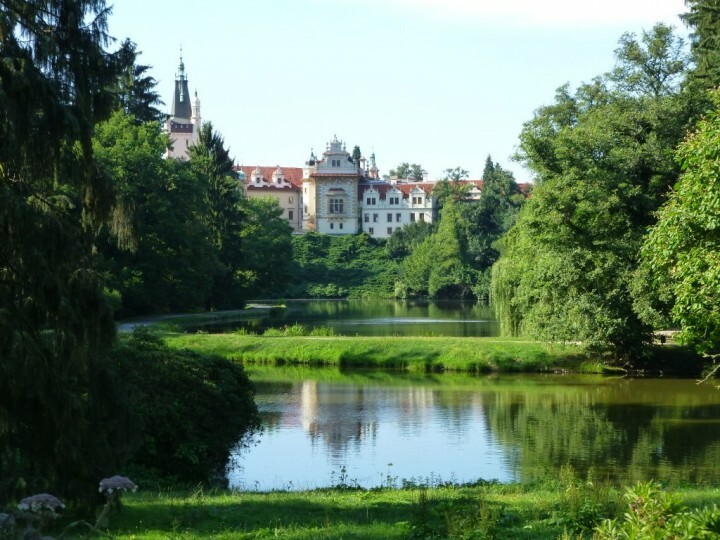 This place is therefore sought after by lovers of fishing, diving or underwater photography. Fontane Bianche, Siracusa, Sicily beaches, Italy by that’Sicilia! Cala Mosche is a bay located in the south-eastern part of Sicily, near the town of Noto. It is a part of the nature reserve Riserva Naturale di Vendicari and is therefore sought after by people who prefer more remote locations. 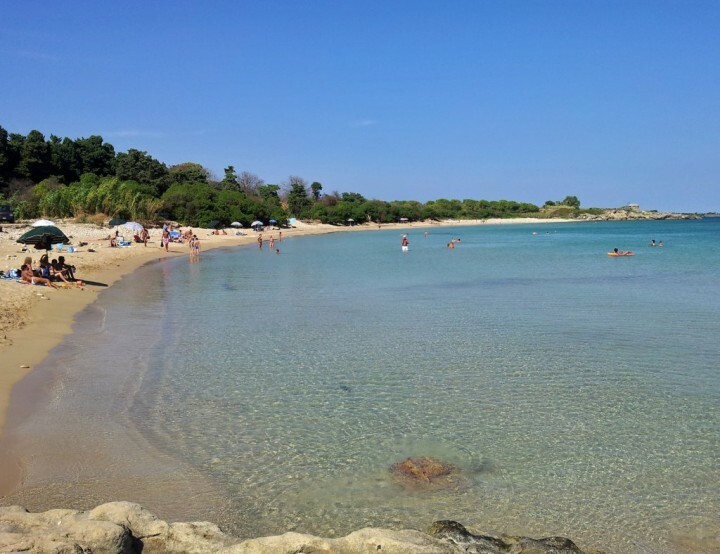 In 2005 Cala Mosche beach was awarded the most beautiful beach in all of Italy by the Blue Guide of Legambiente. The aroma of the shrubs, the beautiful panorama of the rocks, the snow-white sand. What else can you dream of? 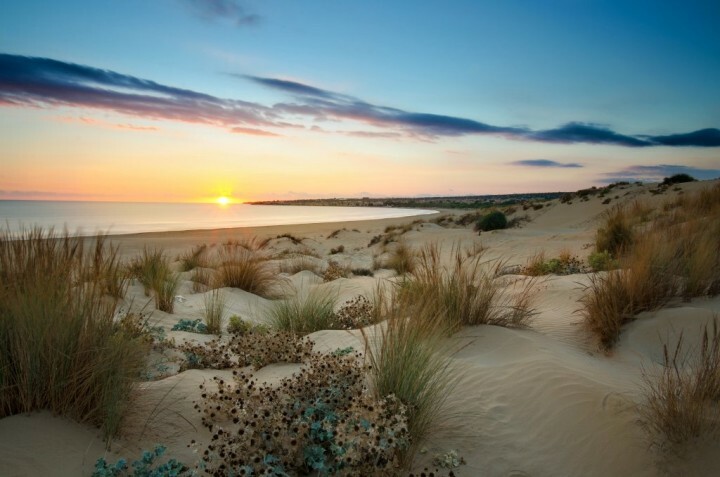 The Sampieri beach is located near the seaside resort of the eponymous name. 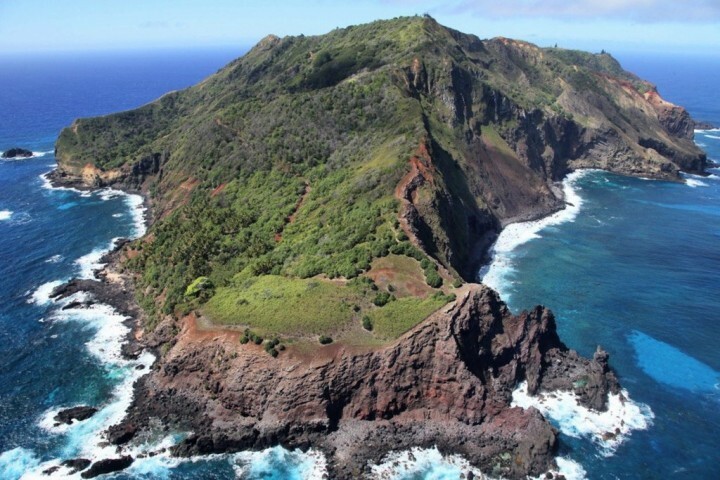 It stretches in 20 kilometres long pristine and wild coastline. This beach begins a little after Marina di Modica and is known as a long beach of soft golden sand protected by a small forested area. 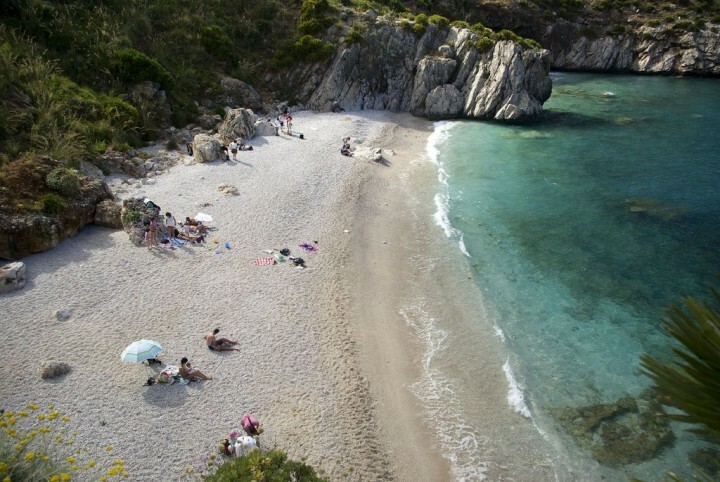 Riserva dello Zingaro is a nature reserve located along the Sicilian coastline. Located in the northwest part of the island, not far from famous San Vito Lo Capo, the reserve hides some of the best and most beautiful beaches in all of Sicily. If you like secluded, secret and empty beaches without any services and no tourists at all, you have to go to Riserva dello Zingaro. 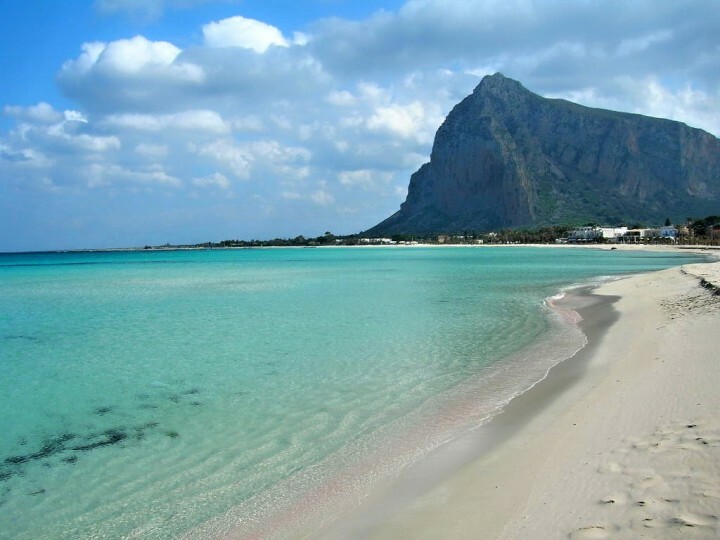 Who wouldn’t know the famous beach between Trapani and Palermo with the equally famous and iconic mountain? The beach is 3 km long and wide enough to accommodate thousands of visitors every day. San Vito Lo Capo hosts big International Kite Festival every year and is a very popular summer destination. 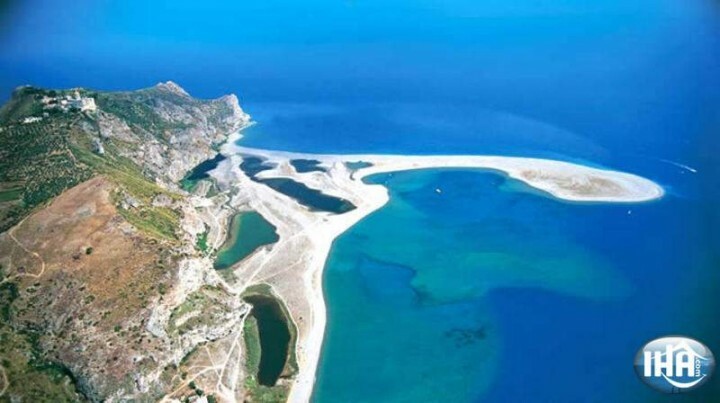 It lies on a narrow ridge in the northwest part of the island, about 55 km west of the Sicilian capital city, Palermo. San Vito Lo Capo beach, Sicily beaches, Italy by Sicilia! Have you already seen strange white cliffs at the amazing coast with crystal clear turquoise water and dark blue sky as the great collection of contrasts? 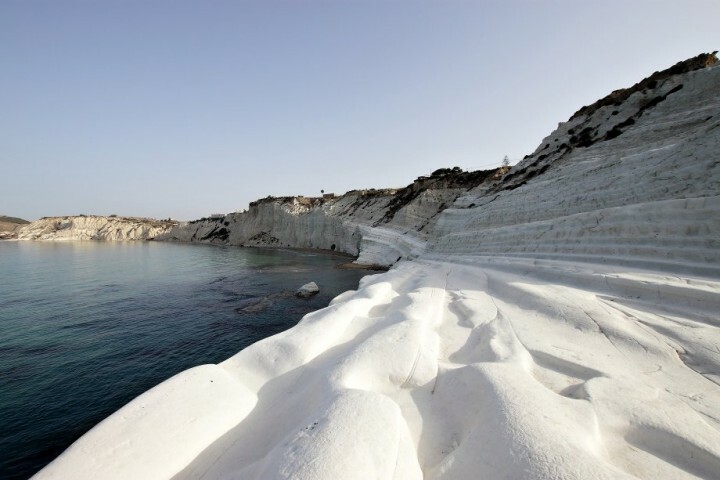 Then it couldn’t be elsewhere then in Scala dei Turchi. Once you decide to come to this beach you’ll never forget it. It is such a great experience! If you like swimming among the towers made of rocks and want to try some jumps from a height into the sea then Cala Rossa in Favignana island will be your tip. Located in the western part of the coast of Sicily Favignana belongs to some of the most beautiful and popular places in Sicily. The beach of Capo d’Orlando extends within the municipality of the eponymous name, just below the lighthouse, at the foot of the hill. 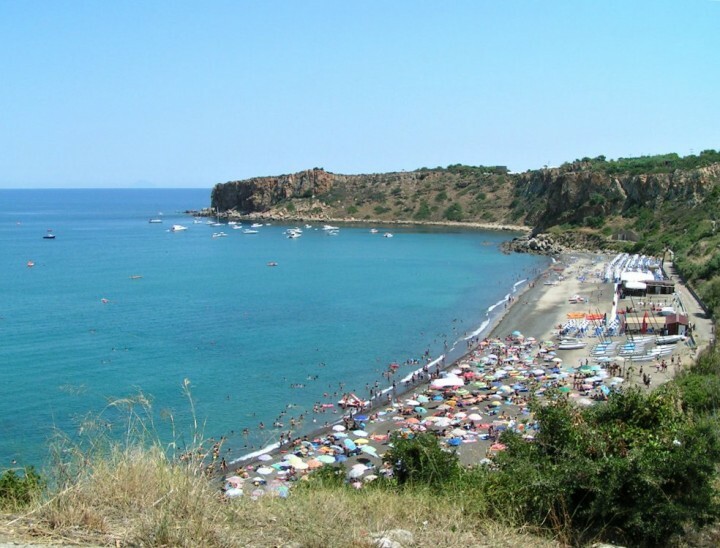 It is a nice beach of golden sand and offers amazing views of the nearby island of Salina (Aeolian Islands). 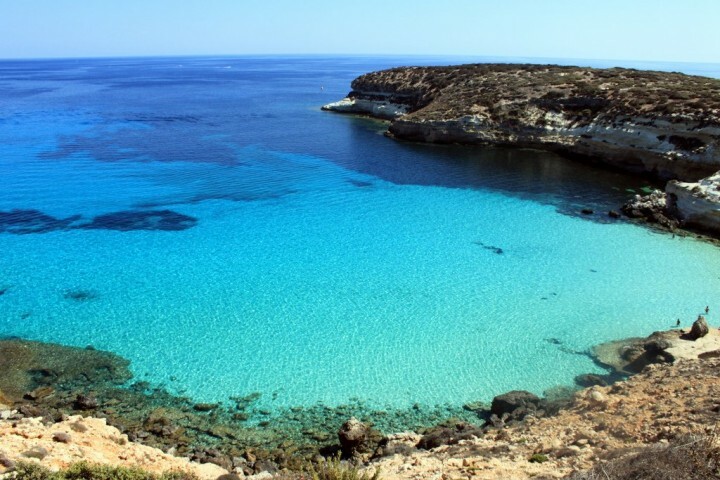 Another Caribbean beach in Europe can be found in Lampedusa island. The overall effect is enhanced even more with Conigli island, which the Conigli beach is facing to. 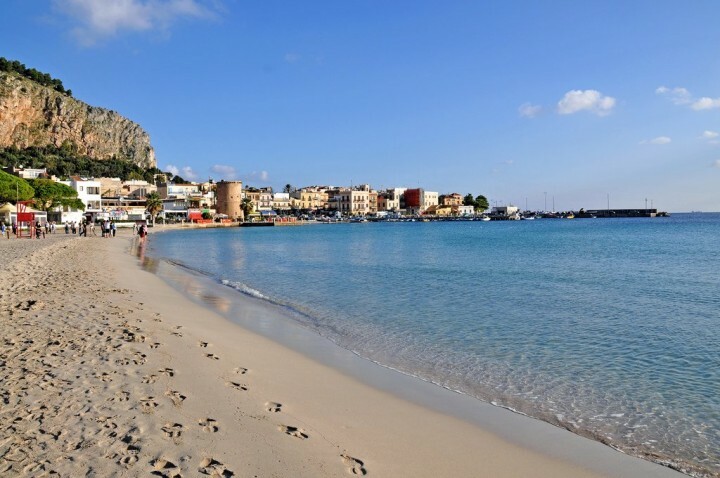 There is no one in Palermo who wouldn’t go to the beautiful beach of Mondello during the hot summer days. It can be sometimes overcrowded but is definitely on the list of the most beautiful places in Sicily. 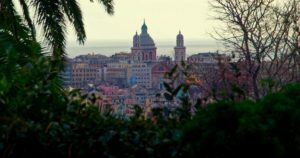 The beach is located about 10 kilometres away from the city, nestled between Monte Pellegrino and Monte Gallo mountains. Not far from the famous medieval town of Cefalu, you can find quiet holiday resort of Finale di Pollina, known mainly because of its great campings that offer superior accommodation in this area. 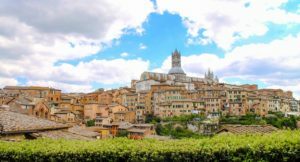 And once here, do not forget to visit Pollina, a small town high on the hill above Finale di Pollina. You’ll be amazed of great sea views and the life that has not changed here for ages. This is a beach belonging to the Villa Ridente in San Giorgio di Gioiosa Marea. 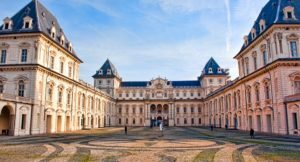 It is probably not so well-known than the others but I think it should be on this list. I spent here a few days and this beach with amazing views of Aeolian Islands is one of the most beautiful ones I have ever seen. 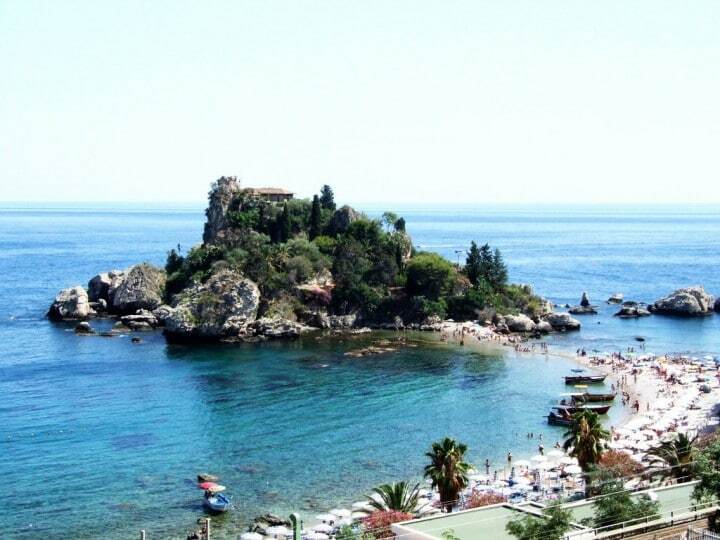 Giardini-Naxos is a large holiday resort near Taormina. Its beaches are often featured on the postcards from Sicily and offer amazing views of the surrounding mountains as well as Mount Etna. 20. What is your favourite beach in Sicily? Tell us below in the comments which beach is missing on this list and we will add it! To find a cheap flight to Sicily, you can search on our partner’s website Skyscanner. 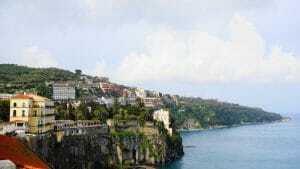 You can find an cheap hotel in Sicily by searching on this hotel aggregator. I loved Cefalu and the beach was fantastic but we stayed in Capo d’ Orlando and that was just as amazing with the great restaurants along the beach front it makes for a great holiday destination and its close proximity to other great attraction makes this the ideal place to stay. Sicily is paradies! I am down there for 8 month each winter with m motorhome, starting in Naxos i Oct, but JanFeb in Punto Braccetto (Santa Croce Camerina) für better weather, April in Naxos again. I’s not only the beaches, but also the people! And all of it. Heaven!!!! You are really lucky that you can spend there 8 months each winter! That’s something I would definitely like to do as well! I was there back in 2006 for just 2 months and it was a nice experience. I met a lot of people and I can confirm they are very nice! As you say, it’s a Heaven!!! I love Sicily! When politicians wioo have ruin the EU successfully, I will escape to sicily, because there the mafia is watching out :-)) ! No, serious, with my motorhome at Punta Bracetto (Ragusa) or Giardini Naxos (Taormina) its the best I can do for my old bones; I am 82 and healthy, also due to Sicily. That’s true, spending a winter there must be amazing! Mafia is about all those people living there. It’s not about cappo di tutti cappi. But it is really very sad and unbelievable that these cappi di tutti cappi are able to set fire to the forests of the national parks only because they have planting companies and want money from the EU funding. That’s really stupid! concerning fires, I dont know. But I observed the following: a Mervedes had been stolen, the campground manager waved his finger, next morning the Mercedes was back. Funny? 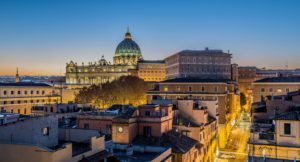 The Mafia wants us tourists to come back! I am a tourist. So they even protect us, better than the police! 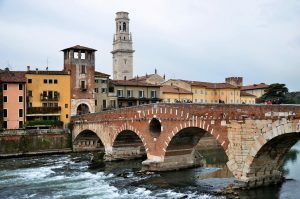 Have you ever gone to the police in Italy and reporte a stealing? I did so several times. No good memory! So, judgements depend on experience, attitude and standpoint. And sonce I have no eperience with bush fires,…! 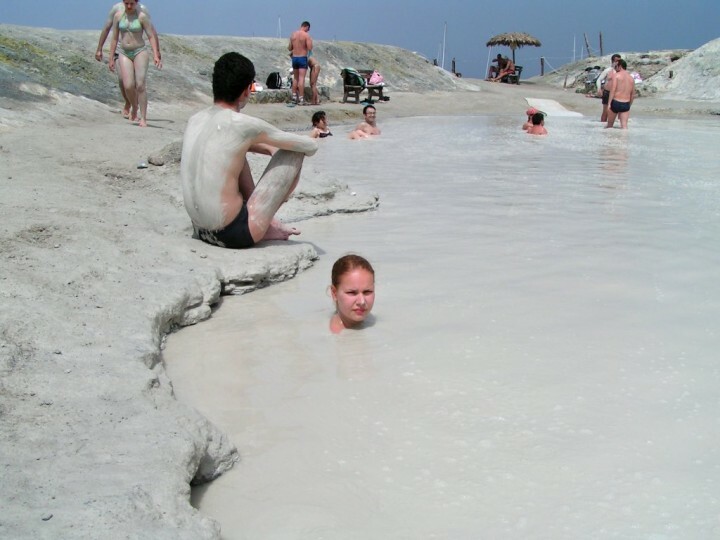 never thought about going to Sicily for the beaches. Out of all of them, which one is your favorite? Good question, Heather, but I don’t have answer. Each of them is unique and all of them are really nice! I was 2 times in Cefalu (#1) and swimming in the local beach took me to the Middle Ages, I forgot I am in Europe. Great experience you will hardly find somewhere else in Europe. Then Vulcano island – I was here 2 times as well and these black sand beaches (#2) and sulfur mud baths (#3) was something I have never seen before. Even the sea around is hot due to these springs. In Oliveri (#4) I spent 2 months of my life which I never forget. Very nice and quiet place with a great views of Tindari Monastery at the hill above. Then 2 weeks lying on Finale di Pollina beach (#17) with a train running above. Here I stayed in the best camping I have ever been to (Rais Gerbi). I like Punta Braccetto, the campground; sand beach, park, best weather. Try it! I am on Baia dei Coralli. I think that Sicilian one is my fave!